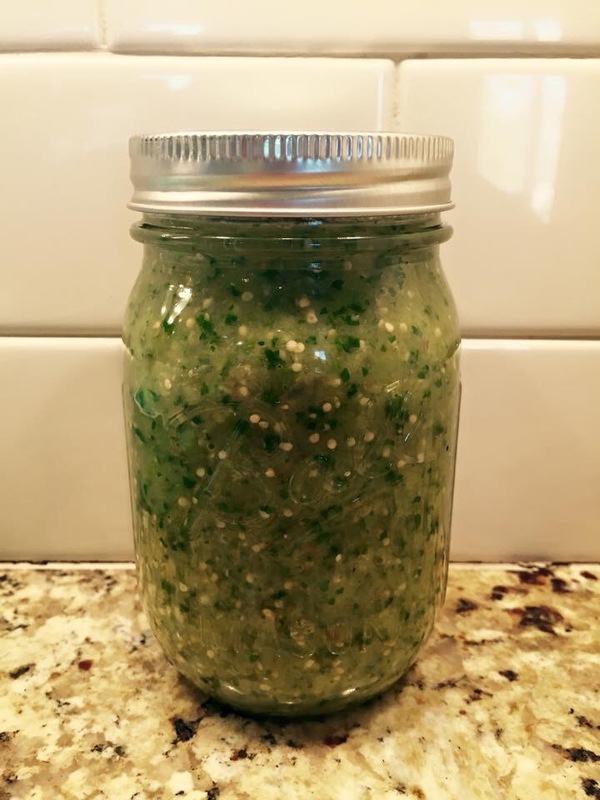 Salsa Verde or Tomatillo Salsa is super easy to make from scratch, and not only is it 100x tastier, it doesn’t have any added junk that you don’t need. Heat about 1 tablespoon of EVOO on high heat in a large skillet. 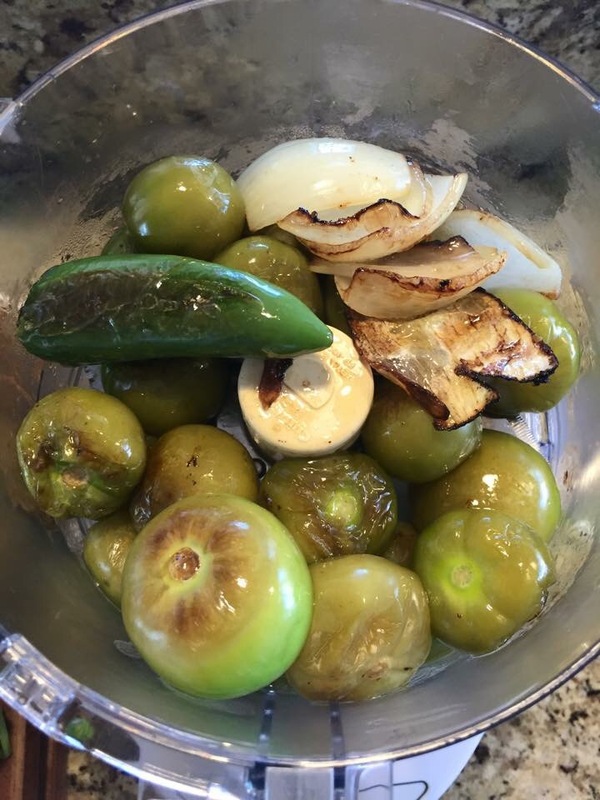 Add in 1.5lbs of tomatillos (husks removed), 1 jalapeño, and 1/4 of an onion. Rotate them in the pan until each side is nice and caramelized (they will soften). 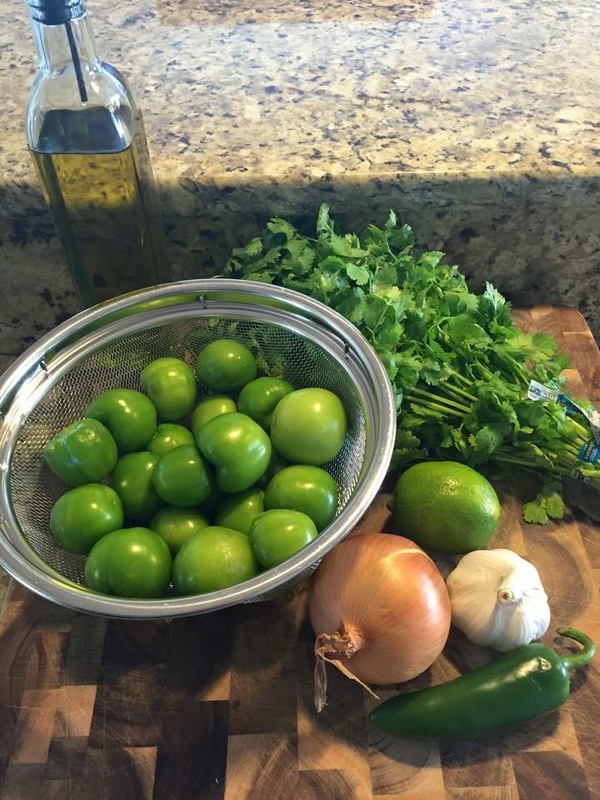 Then put them in a food processor with 2 cloves of garlic, 1/2 cup of cilantro, and the juice of 1/2 a lime. Chill in the refrigerator. Voilà!